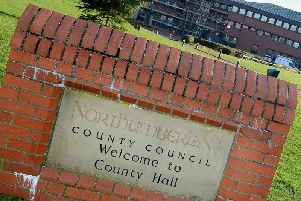 As many as 80 new homes will be built in a Northumberland village after two applications were given the green light by councillors. The bids for Longhorsley were unanimously approved by Northumberland County Council’s new strategic planning committee on Tuesday, despite a number of objections from local residents. One was an outline proposal by Partner Investments Ltd for up to 55 dwellings on land south east of the Shoulder of Mutton pub on South Road and the other, a full application put forward by Cussins Ltd, was the erection of 25 homes on a site north of Reivers Gate with access, landscaping and parking. In total, both sparked 60 letters of complaints and concerns were also raised by Longhorsley Parish Council. “It is clearly over-development and we disagree with the council officers’ view that it is ambiguous as to whether the site of the proposal is within the green belt. In response, the county council’s head of planning and housing, Karen Ledger, said that as part of the emerging Northumberland Local Plan, further work is being undertaken to identify where green belt boundaries should be drawn in various settlements, including Longhorsley. Application agent Alastair Willis said that revisions have been made following discussions with the parish council, such as moving the point of access to the new estate as concerns were raised about the original access proposal. “It represents an opportunity to provide much-needed new housing in a sympathetic location,” he added. Local ward councillor Glen Sanderson and committee member Andrew Tebbutt said there were access and highways safety issues that need to be addressed for both applications and Coun Sanderson added that for the Partner Investments scheme, its reserved matters proposal to obtain full planning permission must be widely advertised so the issues can be discussed by local residents and the committee.